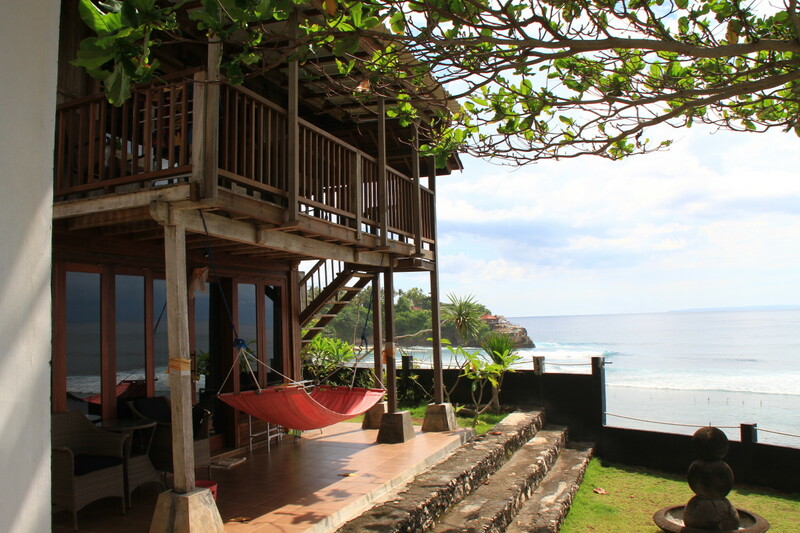 On the west side of Bali's Ceningan Island this small traditional wooden beach bungalow overlooks the Indian Ocean. 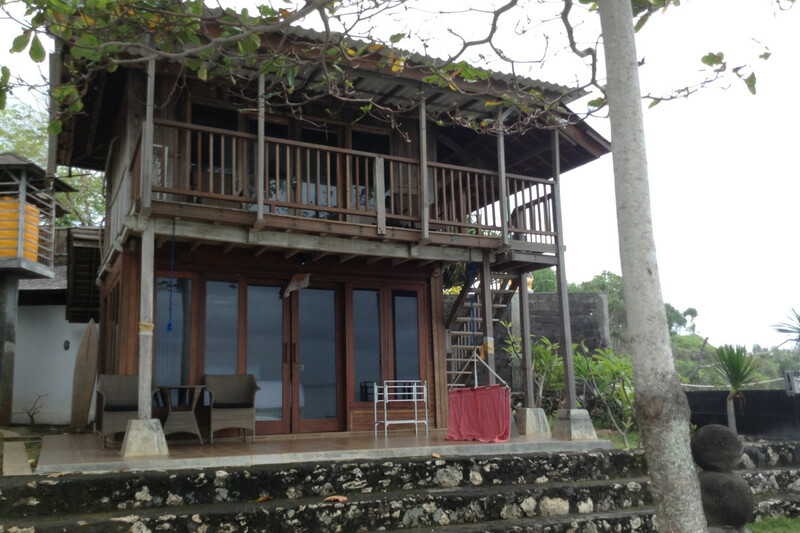 This bungalow is located upstairs and has a balcony and seating area that enjoys the beautiful panoramic ocean views. Traditional seaweed farmers can be seen working in the early mornings or during low tides, on dugout canoes. This beautiful bungalow is a relaxing change of pace from the Bali mainland. Enjoy the calming ocean sounds in a quiet and leisurely location. This cute bungalow has a comfortable king size bed, tables and ambient bedside lamps. This bungalow is specifically made with floor to ceiling windows that overlook the ocean and make you feel at one with nature. 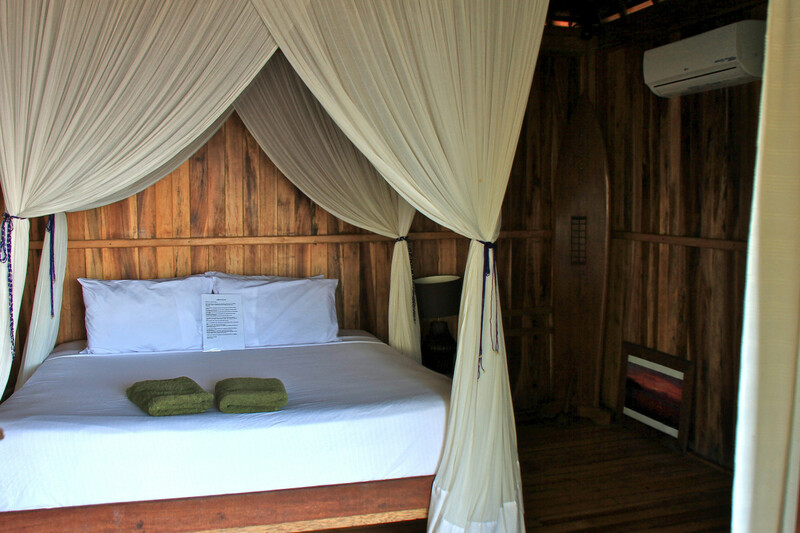 The room is fully furnished with recycled boat wood and has a choice of fan or air-conditioning as well as a mosquito net that cocoons the king size bed which creates an ambient atmosphere, not to mention it's make it bug free. The room is cleaned daily for your convenience and order from our great menu and eat comfortably in your room. 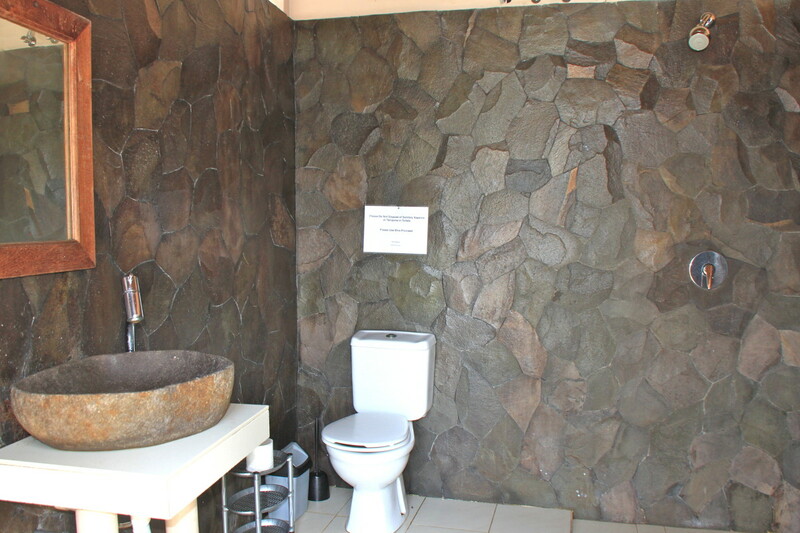 The private bathroom is located down stairs with fresh hot water showers, sink and a western style toilet. 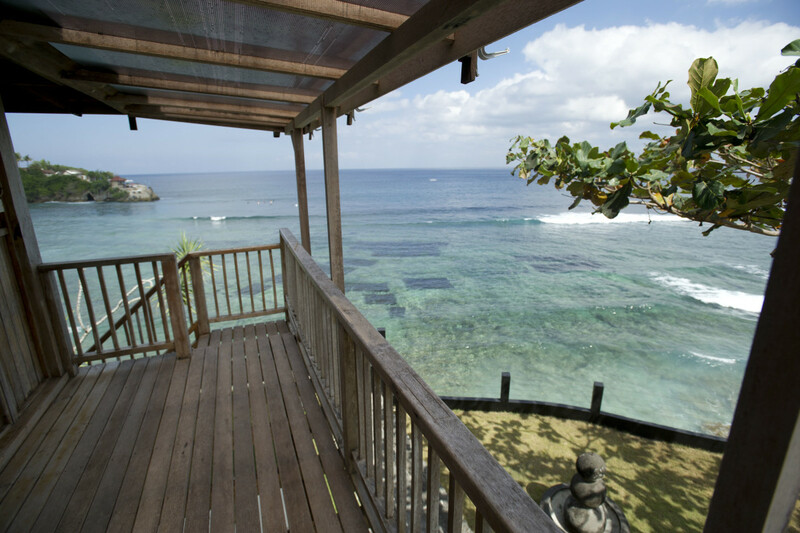 The land is situated on cliffs overlooking the crystal clear sea. 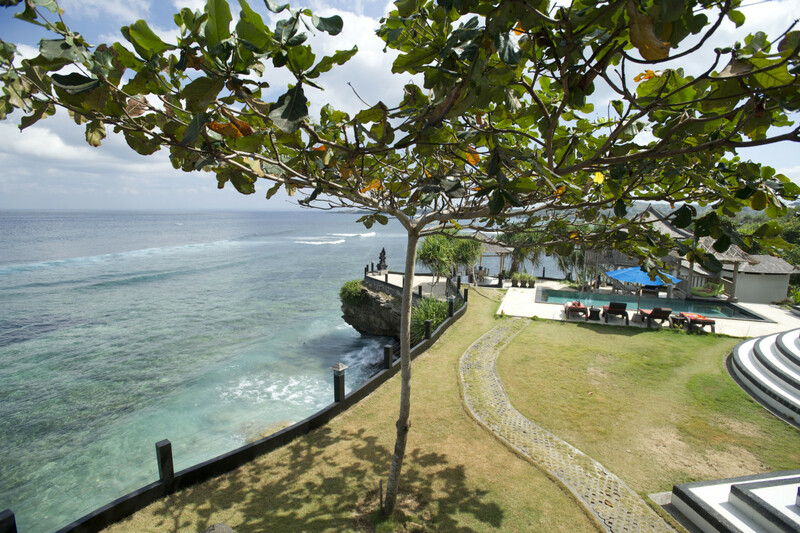 Secret Point surf break is situated directly in front of the property. Jumping cliffs in the amazing Blue Lagoon are within 5mins walking distance. A beautiful small white sand beach with large ocean caves is only a 2min walk away. Sun-bake and relax by our infinity pool with an afternoon drink from the poolside bar. If you are lucky you will see Manta Rays jumping from the ocean and dolphins playing from the comfort of your very own room. 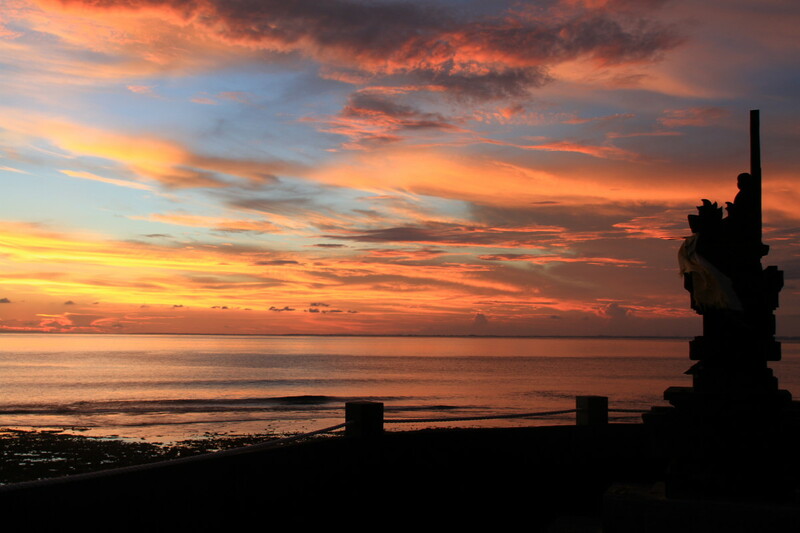 Have a romantic dinner in the bale overlooking a traditional Indonesian temple with the Bali mainland twinkling on the horizon, while Mount Agung sits silently in the distance. Let our friendly staff cook from our spectacular menu of and western favourites and traditional Indoneasian cuisine. Jennys Place is your home away from home. Activities: Let us help you organise your trip on Nusa Ceningan with many daily activities for families and individuals of all ages. we will provide motorbikes for you to zip between the islands and explore. You can enjoy unique island experiences such as swimming with the Manta Rays, turtles & dolphins. Cliff jumping straight into the ocean from secret point, a deep protected ocean inlet Explore the Mangroves on guided boat trips. Enjoy personal fishing trips around the islands. 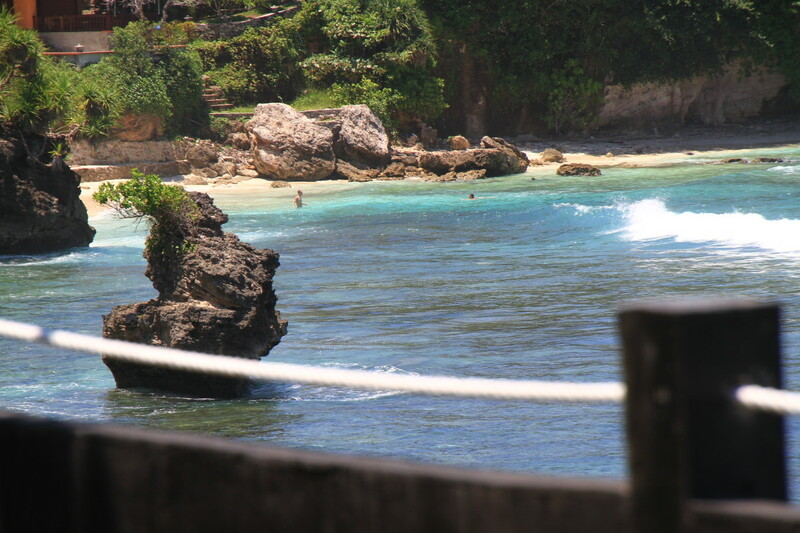 We will organise your ongoing boat trips to the Gilli's, Nusa Penida or back to the main land.